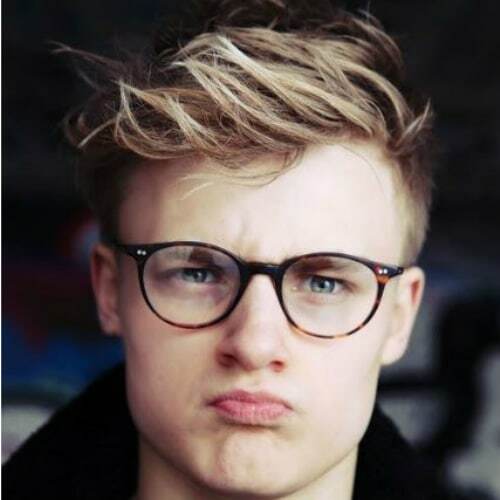 Medium length hairstyles for men come with a great deal of options, you can choose to wear your hair messy or neat, classic or modern, worn up or down. It may seem that short hair requires low maintenance but that’s not always the case. 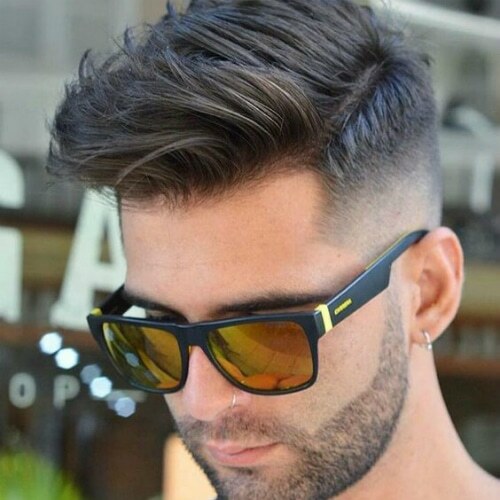 A perfect cut with tapered sides can vary in length between barber visits. Each inch that you grow, changes the shape of the haircut entirely while that same growth on longer hair is just more length, depending on how you look at it. Some of these cuts also have fades or tapers, which look awesome growing out, only that it requires regular barber visits to maintain. 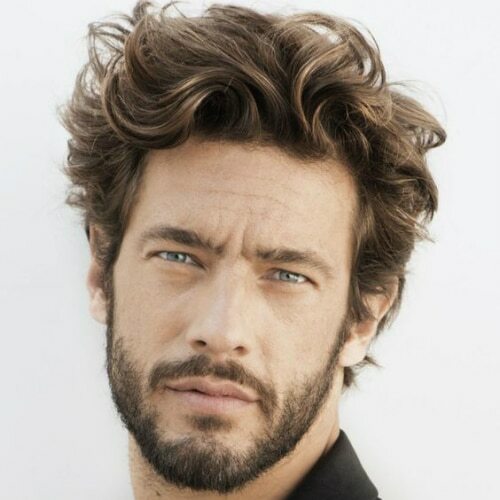 Medium hairstyles for men work amazing for all types of hair, especially curly. A low fade on both sides turns what would be a classic cut into a fro hawk. Elegant and stylish, you can wear this at any occasion. With lots of length, this cut is the best in tousled texture. Not every long on top cut requires a fade to look smooth. 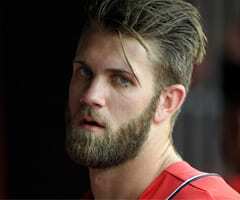 For more pretentious workplaces, this cut is suitable for a professional daily use while this is your look afterward. 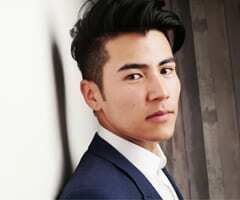 A common misconception about men’s hairstyles is that is feminine and unsuitable. 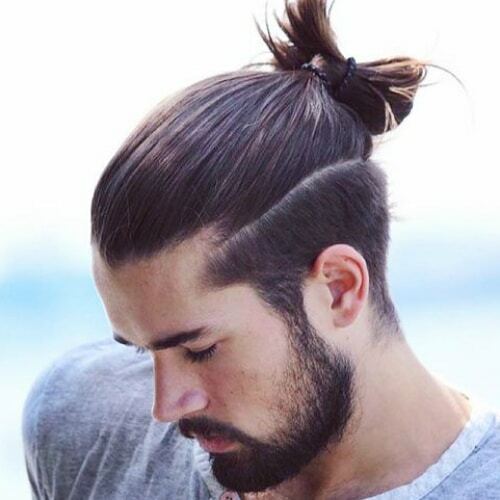 Obviously, with this hairstyle represented by of a man bun and top braids, some men can look quite unusually attractive with it. There are so many options for you to wear the side part hairstyle. This exquisite comb over is slick but loose with a hint of fringe at one side. Hair wax shapes the style and it keeps it in place for a long period of time. This gravity-defying style always looks awesome. It takes hair straight up with curved edges, setting it apart from a flat top hairstyle. 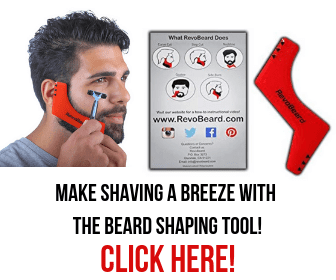 The hard part extends the hairline and a low skin fade softens the contour. 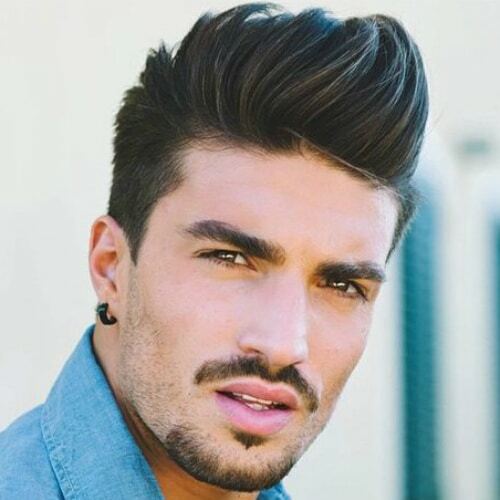 This is the excellent version of the longer, higher, textured hairstyle that is gaining popularity among men. The looser look is easier to achieve and style but it still has plenty of polish. 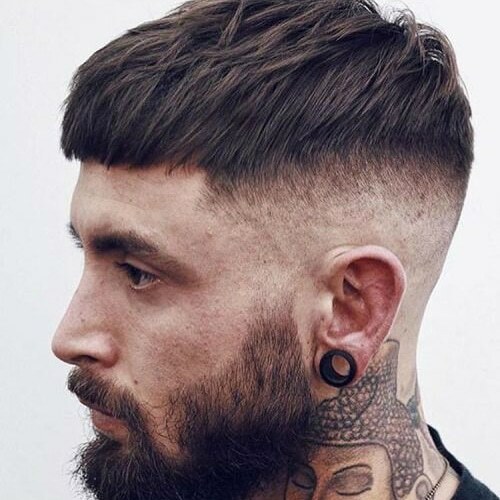 If you wish to look very masculine and tough, consider this haircut to be definitely the one for you. 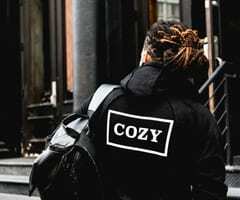 This style combines a ponytail, buzzed sides, and a medium beard as well, all contribute to your classy and edgy look. This hairstyle can turn thin-haired men into looking like you have a fuller head of hair. 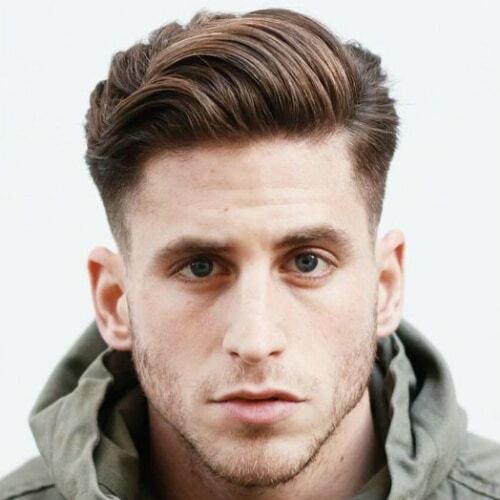 With a low fade cut, concentrate all of the volume on top, which you can further improve by styling it upwards. Medium bangs and fringes with undercuts have been quite a popular combination of these past years. All the attention focuses on the top of the head, where you can best highlight your charming features. 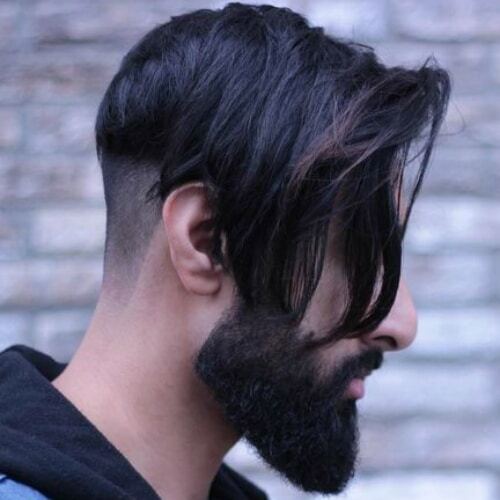 Now, this is another cool length for men to try. At the middle of the nape and almost down to your shoulders, natural curls will make you look mature and attractive. The long sweep back hairstyle is exactly what the title says, hair swept back. This medium length version has plenty of height at the top and a hint of messy and tousled texture for a loose and free style. 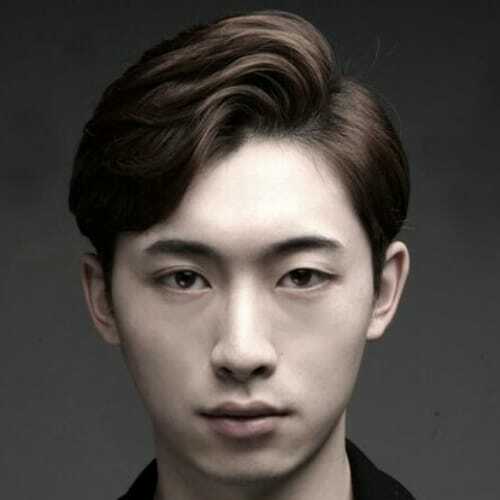 Moisturizing gel right after the shower will help to maintain this hairstyle. 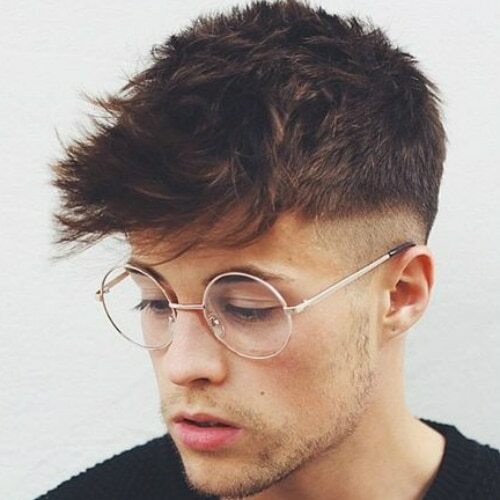 Any man looking for cute hairstyles for naturally curly hair must try this haircut at least once. 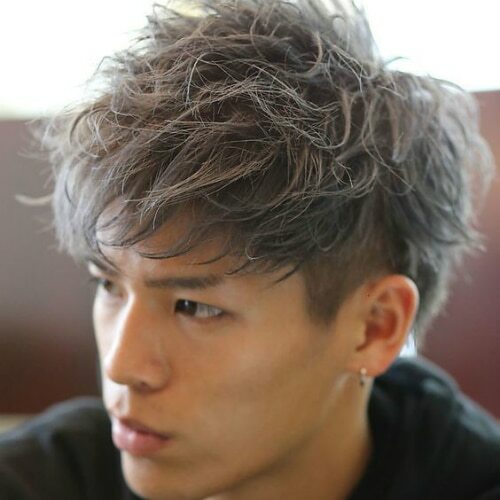 Shaved sides give you a cool contrast to the long fringe on top. 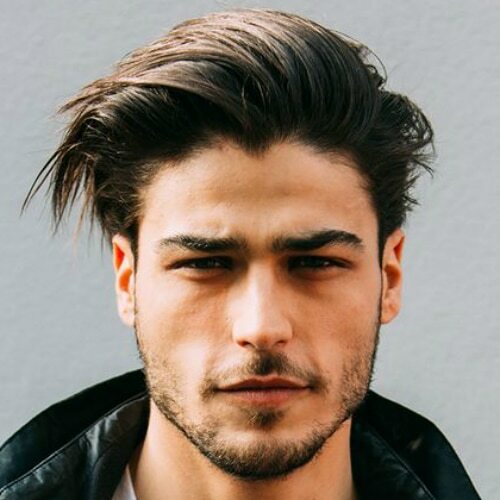 This disconnect hairstyle looks great with or without tattoos. This hairstyle is designed to imitate the motion of a wave when hitting the shore, creating a cool yet charming appearance. To personalize it, you can dye your hair white, just like the foam of the sea. This hairstyle is exactly the opposite of brushing your hair back to obtain a neat look. In this case, brushing your hair forwards allows creating a messy cool and tousled look. 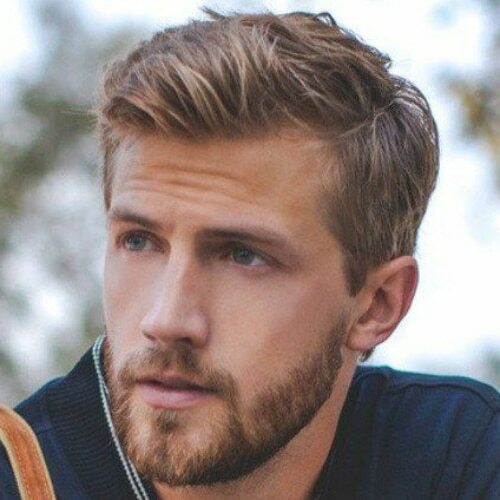 The easiest and trendiest ways to wear a medium length hairstyle for men is this disconnect cut. There is a considerable difference between long hair and short, all you need to do is style this hair straight back. 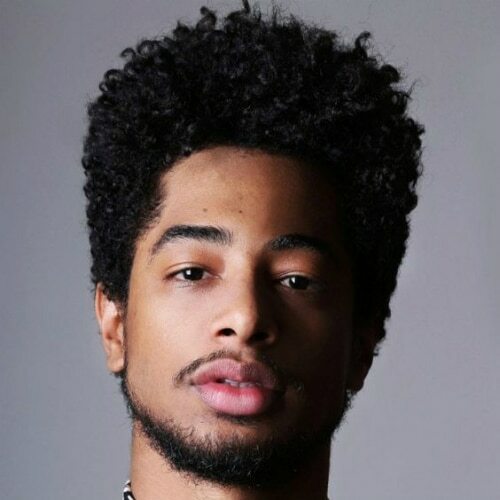 When you have natural and extremely curly hair, it’s best for some men to keep it out of the way by cutting the sides and back close to the skin so that the majority of the curls rest at the top, giving balance to the style. 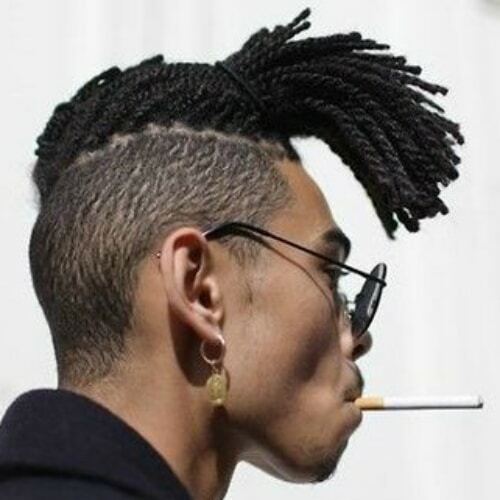 This blow back hairstyle is represented mostly by how you look. Hair is tousled back from the face but it’s a wild style with some loose texture. Adjust the look by running fingers through your hair using a bit of product. Give your hair a cool appearance by focusing the volume at the center and then combing it to the side. 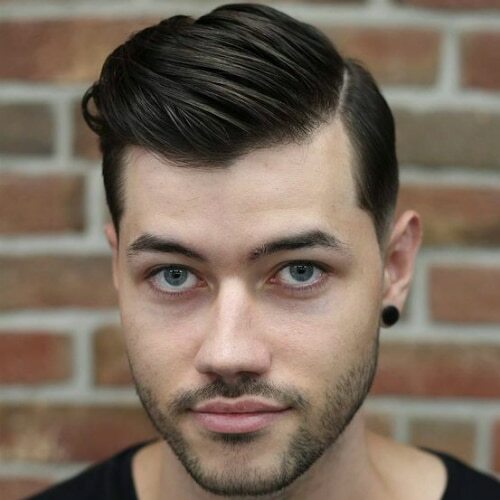 Thin out the sides of your head, then you can get a neat, professional look by styling it with small waves. 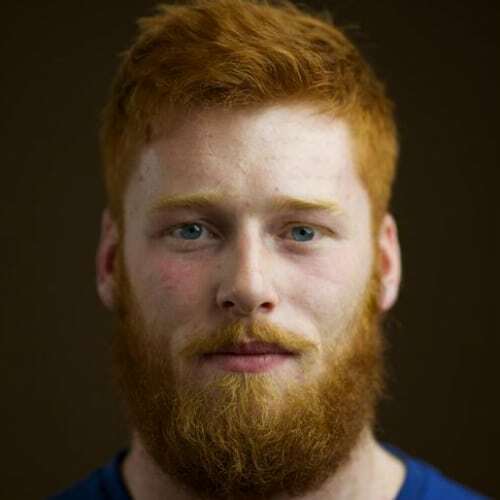 Longer men’s hair requires cuts as much as a shorter hair, only not as often. The occasional adjustments will shape the hair, cut out the weight and helps with the styling. 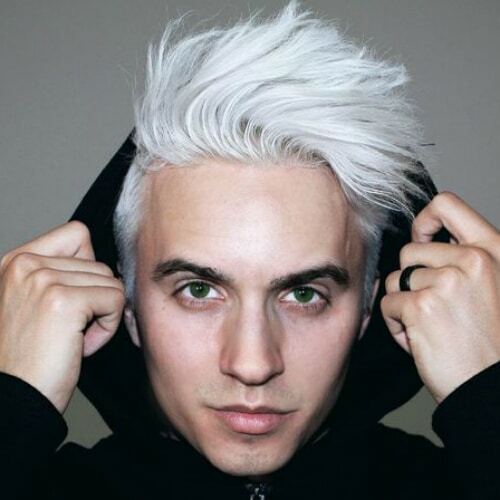 This cut creates a fresh and wild look along with the light dyed tips. What your dreadlocks mean to you is understandable. 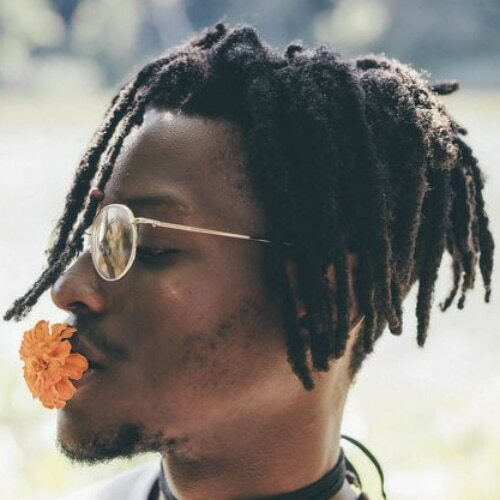 This messy dreadlocks hairstyle is what can be your partner in crime of being awesome and out of this world. 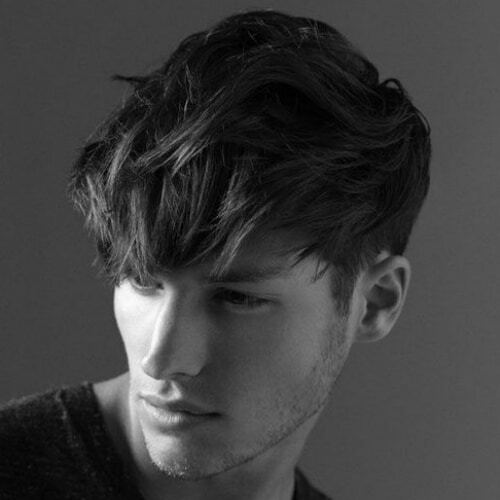 No matter your age, a medium length fringe combined with a blown back hairstyle can make any man look quite exquisite. Add a fiery color to your style and you will definitely grab all the attention. 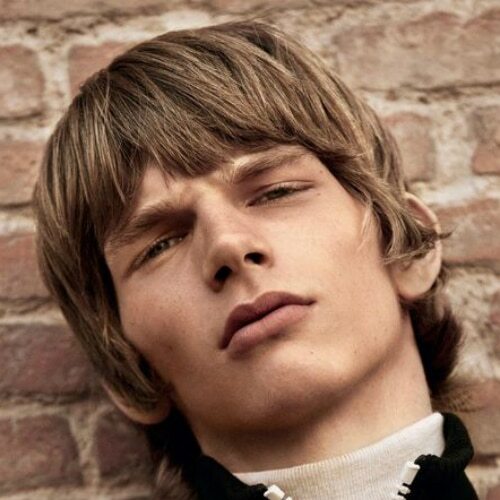 The original medium length hairstyle trend comes from the 1960’s music like the Beatles, Stones, and Doors. 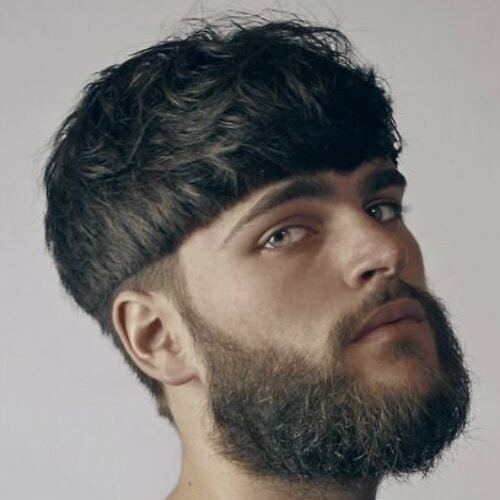 This mop top hairstyle features a fringe and is grown out to cover the ears and back of the neck. This classic style is still a top choice for rockers still. 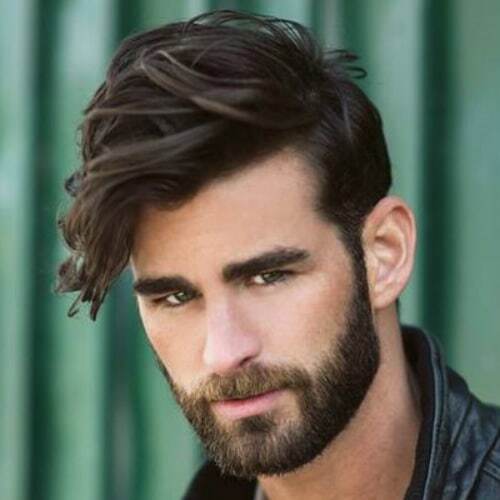 Medium length hairstyles for men work well with spiky texture and a small beard. At this length, the spikes are not able to stand straight up easily but they look great with volume and styling off to one side. 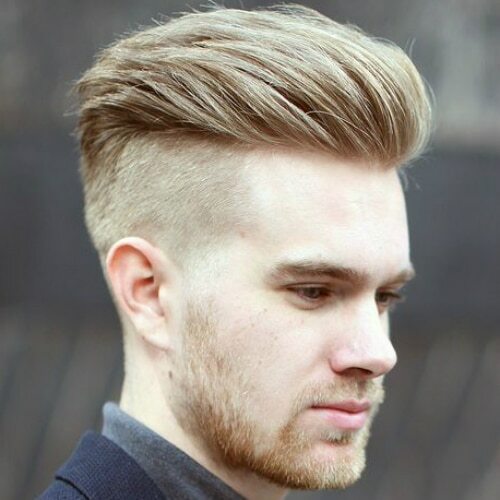 This quiff hairstyle is right for men with square facial features. The sides are buzzed while the top is left medium and styled with messy spikes in order to achieve the illusion of having more length. 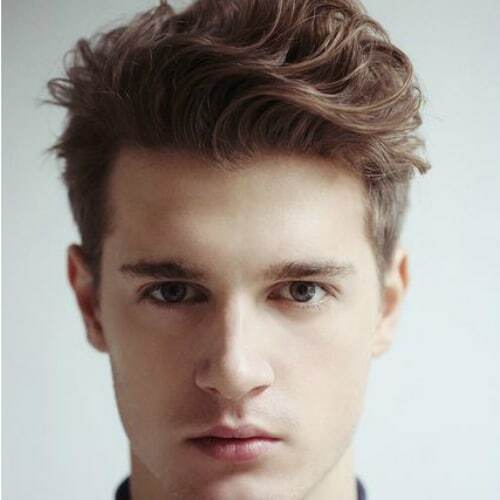 The medium length textured crop is a popular men’s haircut that is usually messy. This longer version has enough messy fringe to cover the forehead. An undercut fade keeps the sides short and neat. 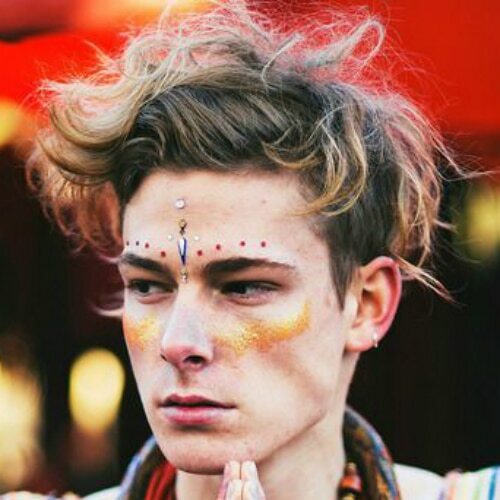 This particular and mesmerizing hairstyle combines the elements of pompadour (with its wavelike style) and the Mohawk, creating the perfect blend that is worth of fashion magazines. 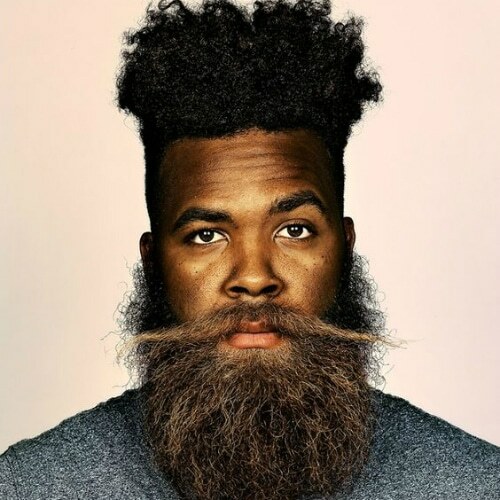 The most underused styling tool for men isn’t hair product but a blow dryer. It easy to use and it takes just a few minutes to achieve a high volume style that has more staying strength than with product alone. Another different way to wear the side part hairstyle with medium length hair is the look below. This particular one has a different take on volume with messy height on both sides of the part. An imperfect part adds to the casual style of this look. If your hair is thin and red, cut it short into this very simple hairstyle. 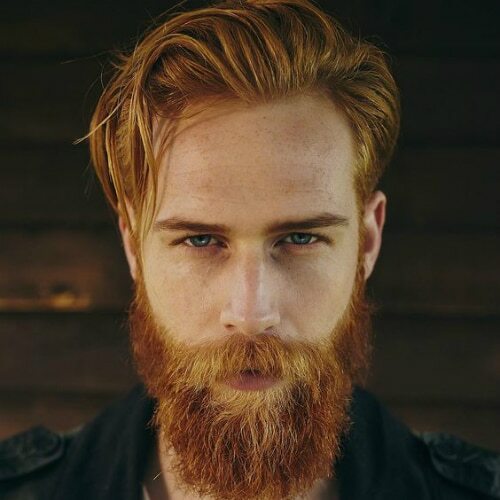 This look can go great with a medium length beard and it can make you look clean and simple. Add a smile to complement this style. Some men like to create the just rolled out of bed look with elegance. With this stylish hairstyle that consists of bedhead locks, you just may actually get the nonchalant look you’re searching for. 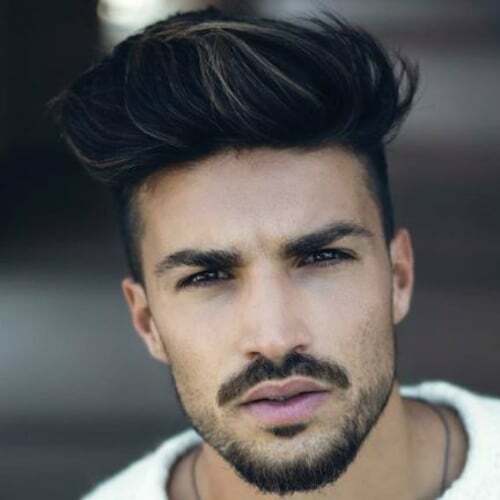 Hairstyles with bangs are perfect for many face shapes and especially for men with wide or round cheeks. This angled fringe breaks up a round face and looks trendy. 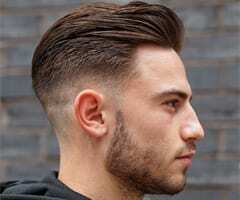 The mid fade is also the ideal for this shape because it doesn’t add any additional width. With this hairstyle, you can make a wave-like stunning effect with your fringe that will make you look young and dapper while wearing it, too. 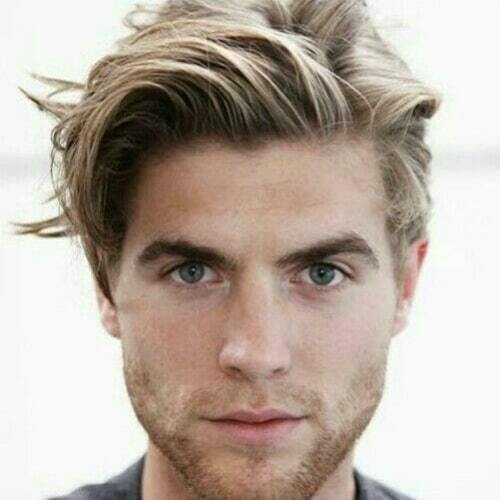 Use light hair product to give flow to the waves. 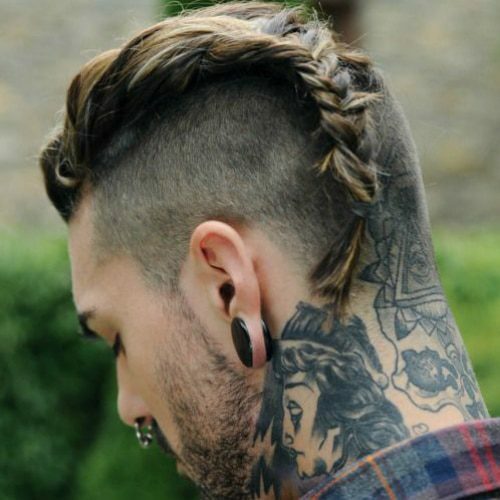 The slicked back hairstyle keeps evolving and this is one of the newest versions. Hair is arranged with matte volume wax and you can leave one piece to falls over the forehead in a curled fringe. Have fun with that length on top by styling it into a braided pony tail. 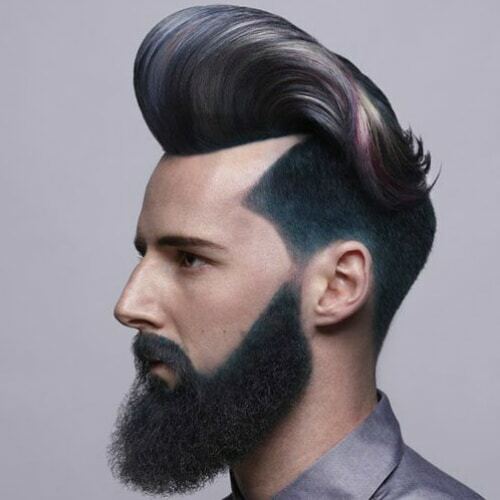 This awesome under-hawk combines an undercut and the Mohawk haircut in a fresh way with lots of uniqueness. 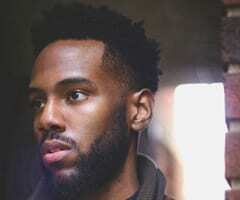 A great way that hairstyles for men are getting better at are the fades. The taper is also known for cutting the hair shorter as you move towards the neckline but it doesn’t go anywhere near the skin. Styling product is recommended to keep it in place. 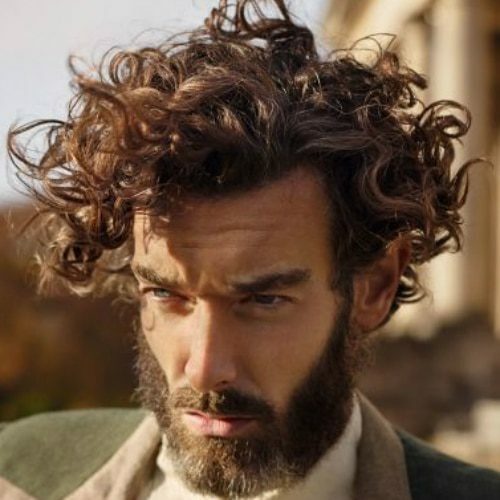 This is an excellent choice for soft curly-haired gents. This crop is heavy on the fringe with length and weight around the sides and back. Texture paste is preferred to enhance waves and add more texture. 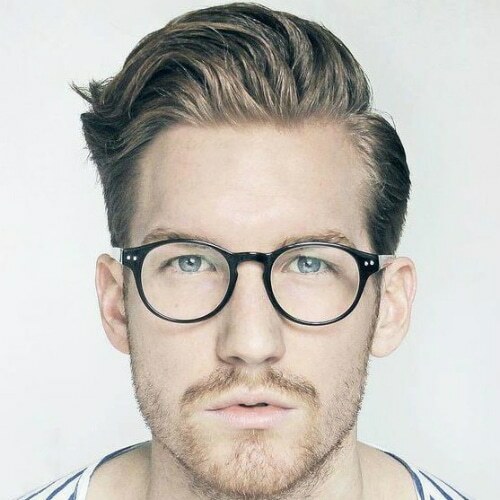 Medium length hairstyles for men can be shorter or longer, as well you can add volume. 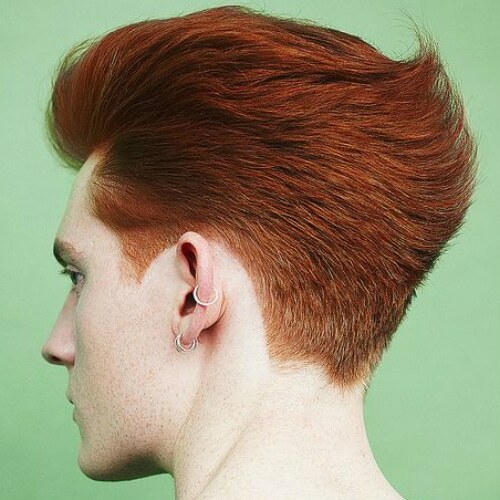 This style has all the height of a pompadour but in a comb over. 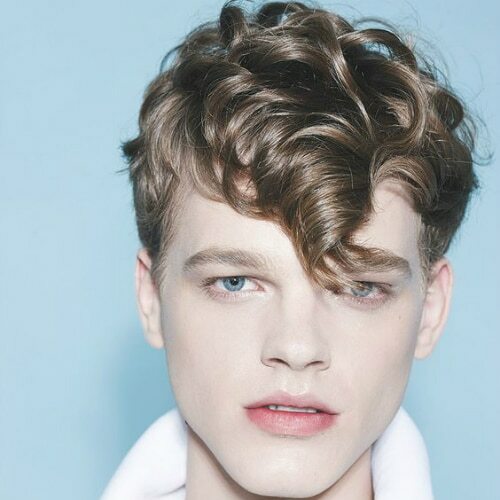 The tousled side also sets this on a different level from the more preppy side part hairstyles. 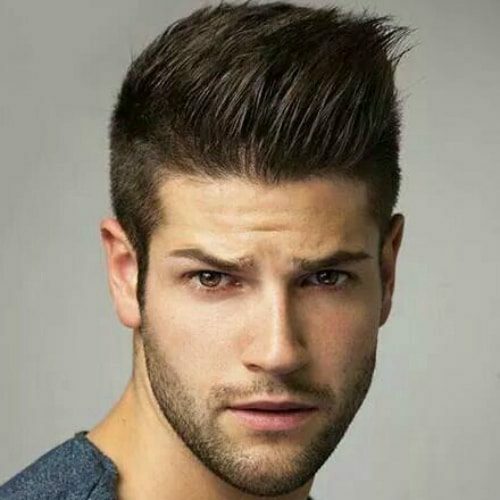 Another version of the classic pompadour is expressed by this hairstyle with long length on the top that adds small waves in addition to height. 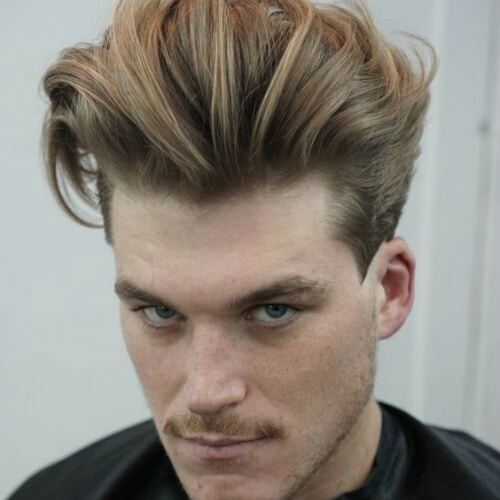 Use strong styling products to make your hair stand out. 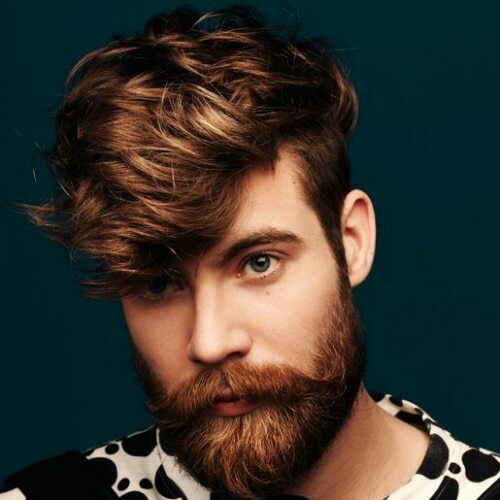 For men with fine hair, which is frequently hard to arrange, those high volume styles become even tougher to achieve. Instead, consider this ultra-slick look with a side part and defined comb trails. One of the biggest dilemmas a man can find himself lost in once or twice in his life is about the length of his gorgeous crown. It’s either long or short. That seems to be the most common dilemma. 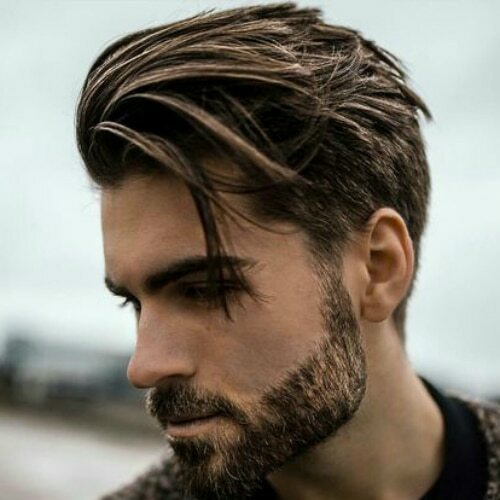 Well, with this list above, full of the multitudes of medium length hairstyles for men that come between long and short hair, there is no way you can pick just one and stick to it. However, if you do want a radical change in your look, here’s a list of Caesar haircuts that are just as bold and make a statement.